As a “RuPaul’s Drag Race” star, Valentina is no stranger to intricate costume changes. Of course, Valentina has never had to go from street clothes to full-on drag in four minutes — until now. 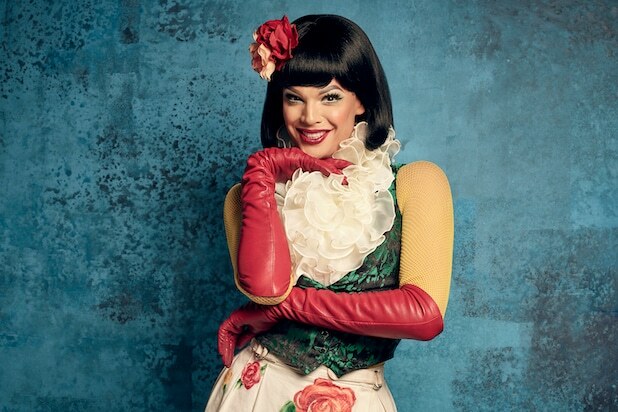 Valentina is playing Angel, a street performer and drag queen in the ’90s, on Fox’s telecast of “Rent” tonight. And with that fan-favorite role from the Tony Award- and Pulitzer Prize-winning Broadway musical comes the great responsibility of going back and forth between two versions of the character, while accounting for the fact its a live broadcast. Because there are definitely not 525,600 minutes between commercial breaks. “And it’s been very exciting to work with the wardrobe team and the makeup team to develop an Angel that is relevant and appeared accurate to the ’90s — but with the budget from Fox,” the star joked. Valentina noted that the production has secured Angela Wendt, “the original costumer who created the very first Angel,” to work on Fox’s version. “It’s also figuring out, is it going to be zipper? Is it going to be snaps? ‘Cause we gotta have it down to a science,” Valentina added. Along with Valentina, “Rent” stars Brandon Victor Dixon as Tom Collins, Jordan Fisher as Mark Cohen, Mario as Benjamin Coffin III, Kiersey Clemons as Joanne Jefferson, Vanessa Hudgens as Maureen Johnson, Brennin Hunt as Roger Davis and Tinashe as Mimi Marquez. Marc Platt and the estate of “Rent” writer/composer Jonathan Larson are executive producing, with Michael Greif overseeing stage direction and Alex Rudzinski serving as live television director. “Rent” airs live at 8/7c tonight, Sunday, on Fox.